Temple Beth Israel, 3601 Dempster St., Skokie, Ill.
Judith R. Frazin, an expert genealogist from the Jewish Genealogical Society of Illinois, will present a workshop program on “Getting Started in Genealogy” from 1 to 3 p.m. Sunday, July 17, 2016, at Temple Beth Israel, 3601 Dempster St., Skokie, Ill. The program is free and open to the public. For more information, phone 312-666-0100. Judith R. Frazin, an experienced researcher and lecturer, will explain how to get started in genealogy, how to interview relatives and how to use the public library as a valuable resource. She will also identify internet and print resources and explain what records are available, where they can be found and what information they contain. A genealogist for 45 years, Frazin has done extensive research on all the branches of her family. She has written a book about two of her family branches that has been distributed to family members and she served as president of the Jewish Genealogical Society of Illinois for 10 years. She is also the author of three editions of A Translation Guide to 19th-Century Polish-Language Civil Registration Documents (including Birth, Marriage and Death Records). In 2010, the International Association of Jewish Genealogists granted Frazin its award for Outstanding Contribution to Jewish Genealogy via the Internet, Print or Electronic Product. 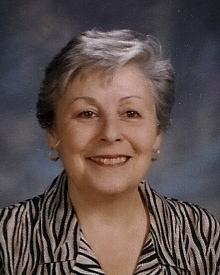 The Polish Genealogical Society of America also recognized her contribution to the field of genealogy by selecting her for its Wiglia award in 2000. While this program is free, those who join the society have access to several valuable members-only resources on the JGSI website. They include video recordings of a dozen presentations from past JGSI events, valuable informational handouts from past speakers, access to past Morasha newsletters containing informative articles about Jewish genealogy, the syllabus from the 2015 JGSI conference, and more. To learn more about the benefits of joining the Jewish Genealogical Society of Illinois, go to jgsi.org/membership_benefits.